Demand planning software provides businesses with forecasting solutions that help them prepare for future customer demand. Businesses implement demand planning tools to plan and manage future inventory and production. These solutions help businesses serve their customers by predicting their long-term needs. They can better prepare for upcoming demands by ensuring that the proper quantity and type of inventory is stocked when needed. Demand planning solutions rely heavily on predictive analysis and are often a part of supply chain management solutions. This tool can integrate machine learning software to increase predictions by analyzing historical data. Demand Planning reviews by real, verified users. Find unbiased ratings on user satisfaction, features, and price based on the most reviews available anywhere. 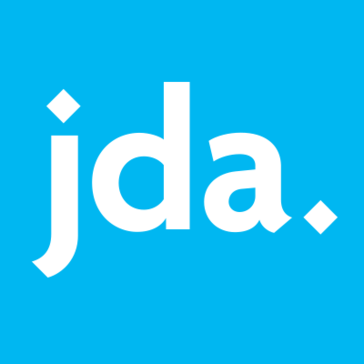 JDA Platform is an integrated retail and supply chain management solution that helps you manage costs, revenue and time to value so you can deliver your customer promises. EFI Metrix is a imposition, layout and planning tool. It transforms big data into actionable data in the most proven end-to-end integrated solution with a holistic view into manufacturing. FutureMargin is a cloud based demand planning software for modern e-commerce retailers. FutureMargin predicts expected product sales for e-commerce stores to optimize inventory stock levels. Retailers use FutureMargin to automate and simplify stock replenishment process, avoid stock-outs and detect over-stocks. SkuBrain is web based demand forecasting and inventory optimization solution. It uses sales history to predict future demand for your products and then makes recommendations, based on current stock levels, as to what you should buy in order to be able to meet that demand or which products might be overstocked. EazyStock is a tool that helps small and medium sized, distributing companies optimize their inventory. Our customers see quick results like higher service levels, lower inventory costs and faster, more efficient processes. Keep in the forefront with a cloud solution that automates purchasing processes, calculates optimal inventory levels, re-order points and safety stock dynamically, and gives you full inventory control at a minimal effort. EazyStock is easy to use and the integration with your ERP is fast and hassle-free, thanks to the intuitive interface and our dedicated customer success managers. Forecast Pro is a best and inclusive sales forecasting software. It supports budget and forecasting arrangement system. It can work in multiple hierarchies at the same time. It helps predict interest for products and services so you can enhance logistics, generation booking, stock management and financial planning. ForecastX Wizard is a software that makes detailed and accurate business forecasting easy it combines a powerful statistical forecasting engine with Microsoft Excel to give team an effective blend of forecast accuracy, ease of use, and flexibility. JDA Demand gathers information from both passive and active data points, organizing and delivering proactive, prescriptive insights for improved forecast accuracy. This powerful cloud-based solution helps you develop a collaborative forecast that effectively predicts and shapes consumer-driven demand across segments and throughout complete product lifecycles. By segmenting orders by product, geography and channel, JDA Demand allows you to apply your resources strategically and profitably. Advanced inventory forecasting. Service more clients with less stocks. Display better prices. Outprice your competition but preserve your margins. 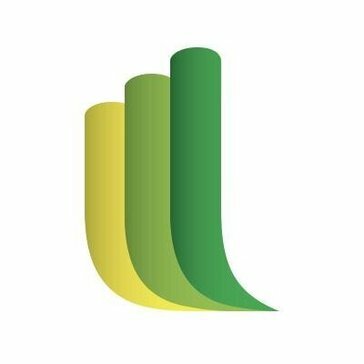 StockWise provides real time inventory management insights for small retailers and immediately identifies/predicts dead and excess stocks, reducing inventory costs. Many companies are not seeing the bottom line results they’d like when it comes to managing their largest, most expensive asset - their inventory. Absolute Value's Demand Planning tool can absolutely help you improve your inventory position while helping you: •	Improve your forecasting and replenishment capabilities •	Manage inventory across multiple locations •	Collaborate with customers and vendors •	Identify surplus and excess inventory With Absolute Value’s Demand Planning system you can absolutely have the right inventory at the right place at the right time, increase customer service levels, and free up cash! With add*ONE you can have effective inventory management that harmonizes opposing requirements by simultaneously ensuring low stocks, enhanced liquidity and high availability of goods. Atomli absorbs data from many different sources and automatically identifies which factors are important. Its platform assesses demand at the maximum level of granularity (eg at the SKU/store level), increasing accuracy and reliability. Avercast Business Forecasting is a MRP software that provides users with the technology they need to feel confident about forecasting future product demand. It helps businesses plan the right inventory, in the right place, at the right time. BidCue is an auction sourcing and inventory management solution, designed to makes it simple for dealers to stock and sell what the market demands faster and more profitably. The Blue Ridge is a cloud-native supply chain solution. It is a way for retailers and distributors to spot and plan for changes in customer demand before they happen. CatalogForce is a product information management solution that provides tools to help you organize your products in a centralized database with separate style from content, and a variety of formats are supported. Retail C-Store is a suite of automation technology solutions, that offers store daily paperwork, price book, item level inventory, and financials. DataDocks is lightweight logistics automation tool that enables companies to schedule logistics. Teradata Demand Chain Management provides you with improved customer service levels, optimized inventory assortments and promotion management, fast ROI, and power and scalability. Demand Solutions Forecast Management opens up a whole new world for supply chain management - better demand planning, improved inventory planning and, ultimately, increased efficiency and profits. It has all the collaborative planning features of Smoothie Server, but you pay for it in modest monthly payments and we deploy it for you on high-performing Microsoft or Amazon cloud servers. Smoothie® Server enables wide scale concurrent use and automates integration with host systems. Direct Tech provides software and services to help multi-channel retailers and wholesalers with merchandise and inventory planning to help with sales and gross margin, in-stock inventory, and manage overstocks and cash flow. Foresite SPA is one of the best and completed sales forecasting software. It is a used to connect companies to combine sales. It is a very easy to way to directly connect to the users. Foresite's finished business change experts settled the down to earth needs of developing organizations. GMDH is most powerful of sales forecasting system. It augury income of some old data, today's market value and visitors estimate.It is a very faster to run visitor's business. It's best features like it gives ERP system detail, integrates data from disappearing sources within your company for correct statistical need forecasts. IMI is a supply chain management software solution whose architecture provides for extremely reliable and scalable transaction handling for companies for whom dynamic supply chain management is a key competitive advantage. Infor Automotive Exchange is a demand management solution for automotive suppliers that extends and complements traditional ERP order-to-cash capabilities by normalizing data across all customers. Infor Supply Chain Planning (SCP) balances supply and demand, synchronizing assets to optimize the delivery of product. INTUENDI is a best sales forecasting software for businesses of every size. It is a very easy to use and less time consuming, traditional methods. It follows the prescriptive action and supports inevitable requirement forecasting functionality, inventory fill software etc. JDA Order Promiser is a high-performance solution that increases order capture, enhances delivery confidence, provides full supply utilization and increases customer service levels. K3S-Replenish is an advanced warehouse replenishment solution offered in "the cloud" or on-premise. It works with your existing host system or ERP to provide you with tools including smarter demand and lead time forecasting, suggested order creation, and automated inventory replenishment through the use of proven analytics. A combination of best practices for your buyers, powerful tools for your managers, and robust, proven software, K3S-Replenish is your complete inventory buying system that includes support for your questions and training for your guidance. Forecast sales, markdowns and profit. Manage inventory across any dimension. For rapidly growing and changing organizations. Fast and cost-effective deployment. Powerful and familiar user interface with Microsoft Excel. Complimented with the features and functionality that will effectively support your planning approach and process. Multi-dimensional. Dynamic. Flexible. Manhattan's Planning Solutions are designed to enable you to get in front of demand, blending both channel-specific and omni-channel capabilities to ensure the right products are offered to your customers. JustEnough’s innovative solutions help companies to forecast customer demand; plan assortments, allocations and inventory; shape demand with markdowns and promotions and then execute on those plans. AI powered demand planning solution with predictive analytics, supply chain forecasts, and what-if analysis. Hi there! Can I help you find the best Demand Planning solutions?